To dump means ‘to drop or let fall,’ ‘to throw away,’ as we do with garbage, and ‘to unload something from a container by tilting.’ Figuratively, you can dump someone if you end a relationship with them, especially a romantic one. If you get rid of something, like work or a commitment, suddenly and irresponsibly, that’s also to dump. As a noun, a dump is a place where garbage is thrown, and figuratively, any run-down, badly kept, or dirty place can be called a dump. It can also be a storage place for a particular kind of thing. The truck dumped its load of firewood by the woodshed. I'm going to dump these old shoes—they have holes in them. Tom dumped the contents of the pan into a bowl and sat down to eat. Jemima always dumps her boyfriends after a couple of months; she'll never settle down. Simon was annoyed that his colleague had dumped most of her workload on him. Martha took the old couch to the dump. Robert's apartment was a dump. Troops discovered an ammunitions dump in a disused building. In Computers, if you dump something it means that you transfer or copy some data, usually from the main memory to an output medium, like a screen or printer. This is often done in order to find out the reason for a problem failure. As a noun, a dump is a copy of dumped computer data. In the context of international trade, if you dump goods or stocks, it means you put them on the market in large quantities and at low prices that may have adverse effects on local markets. Regular readers of Word of the Day may remember that one of our recent words was tip. We told you that, in UK English, the place you take garbage to is called the tip, but today we’re telling you that place is called the dump. Well, dump is correct in both US and UK English, but tip is much more common in UK English. Dump, meaning ‘to throw down something with force,’ or ‘to fall suddenly,’ dates back to the late 13th century; the Middle English noun dump has not undergone any spelling changes. Its origin is uncertain. While most linguists believe it could have come into English from a Scandinavian source, some have also suggested an independent imitative or expressive origin. Dump, if we consider the more popular origin theory, is probably related to the Danish dumpe (to fall hard), the Norwegian dumpa (to fall suddenly) and the Old Norse dumpa (to beat). The senses ‘to unload a large amount’ and ‘to empty out of a container by tilting’ both date back to the late 18th century, and were first used in US English, while ‘to discard or abandon’ first appeared in the early 20th century. The economic sense, ‘to put on the market in large quantities at low prices’ was first used in the mid-19th century. 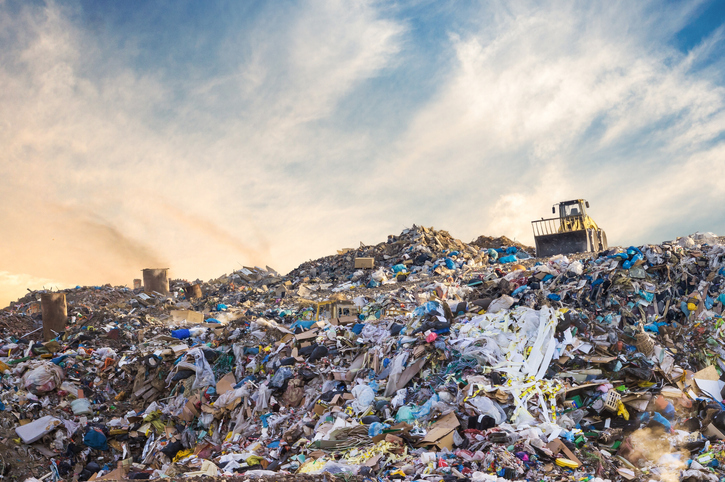 The noun, meaning ‘a place where waste is dumped’ or ‘a pile or heap of refuse matter’ (especially in the US), comes from the verb, and dates back to the mid-19th century. It was originally used in the context of mining, but the sense had expanded to ‘a site to discard household waste’ by the 1870s. The figurative sense, ‘a badly kept or dirty place’ was first used in the late 19th century, while ‘a storage place’ for a particular thing was originally a military term, used for sites where ammunition or equipment was stored, and dates back to the early 20th century.